Maui Island - Hawaiian Quilting With Poakalani & Co.
Maui Island also know as the Valley Isle is the second-largest of the Hawaiian Islands. 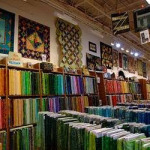 Come spend a little time at The Maui Quilt Shop. Sew Special opened its doors on October 1st, 1978, in Kahului, Maui. Since then, they have been serving the sewing and crafting needs of locals and visitors to the Island. 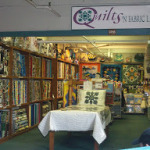 Visit today for a sewing class or to select from a selection of fabrics and quilting supplies.